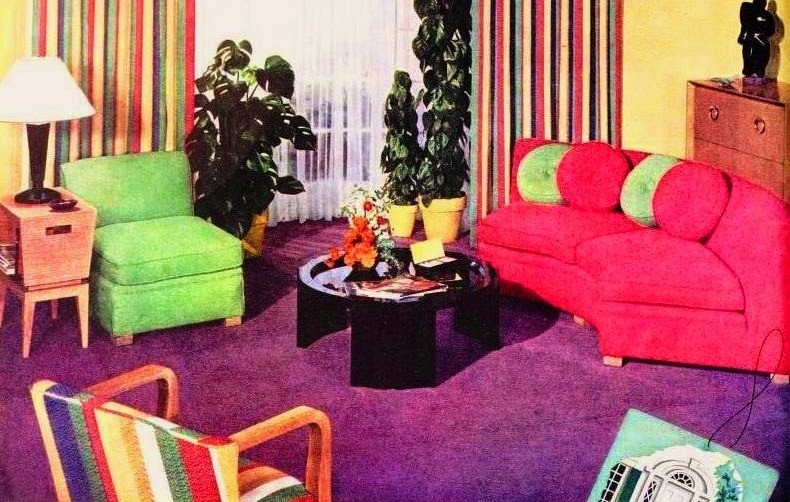 I love seeing lots of bold colors from this time period. 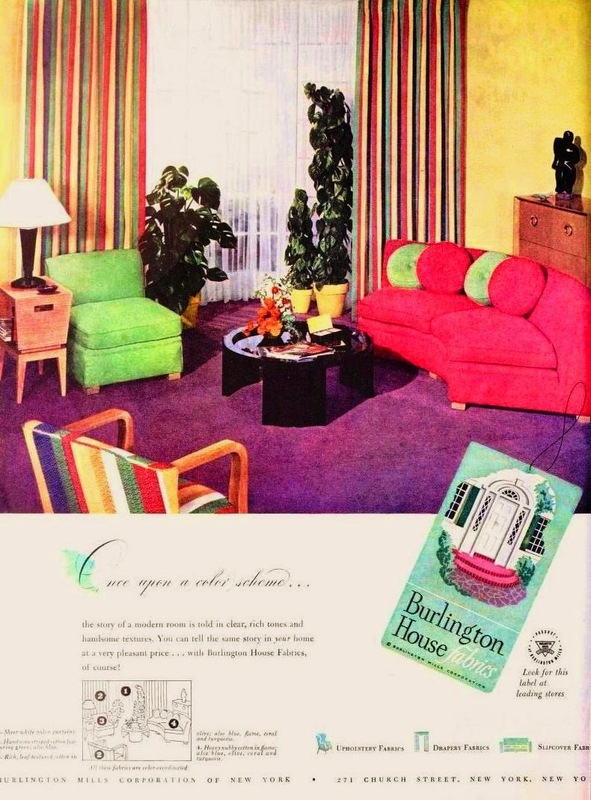 It is not a typical color scheme from the 1940's... for an average home. Yet this living room is so cheerful. ~ Macy's Thanksgiving Day Parade... Snoopy! ~ More Vintage Sewing Notions... Spools! ~ Vintage Kitchen... Kholer Sinks! ~ Vintage Goodness... Kholer Bathroom Sinks!